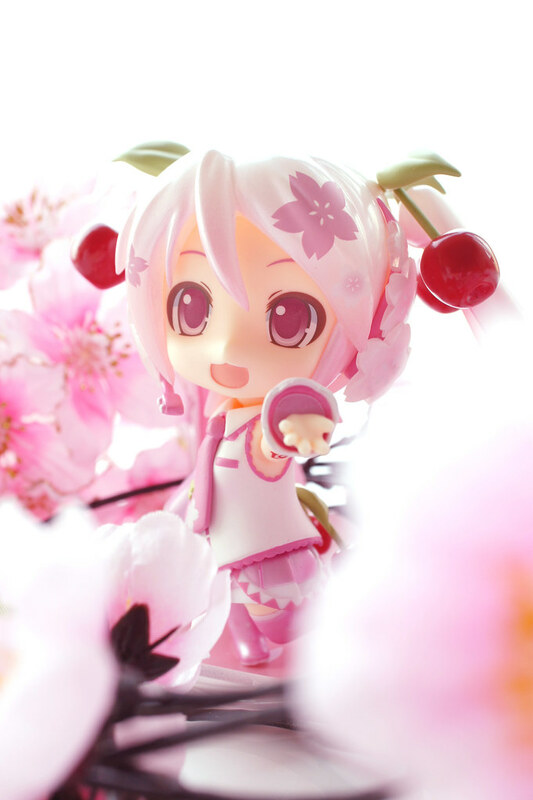 I ordered Nendoroid Sakura Miku directly from Goodsmile online shop together with my friends(I usually place my pre-order at local shops)…well…. I give up and start shooting. 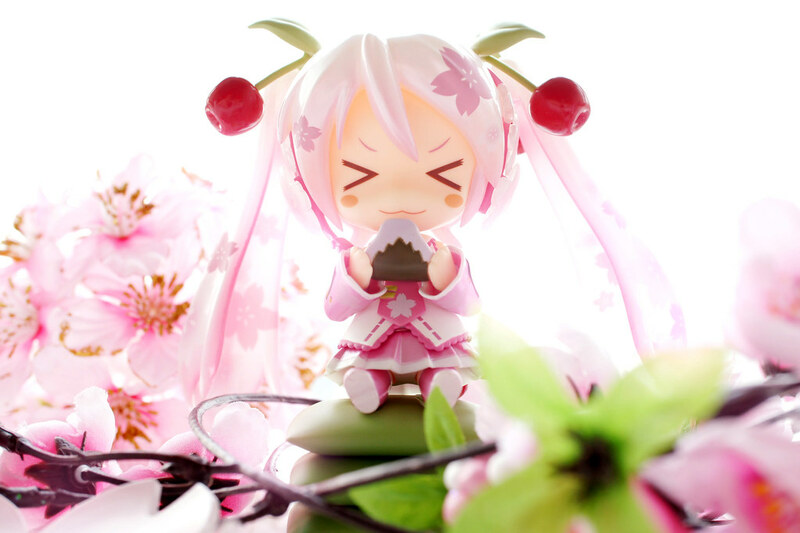 The Nendoroid Sakura Miku is very cute. Its quality is totally much higher from those boot-legs, and I could feel that GSC have put sooo much effort to make a difference. Gradation painting on the transparent twin-tail, with sakura pattern printed with gradation. 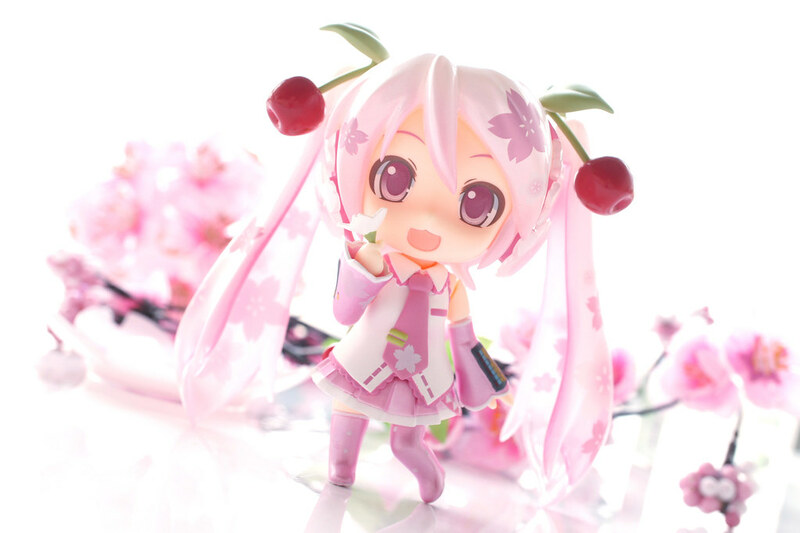 In addition to the metallic boots and sleeves, the painting quality is at top-class among all nendoroid products. The cherry ponytailers are nice. 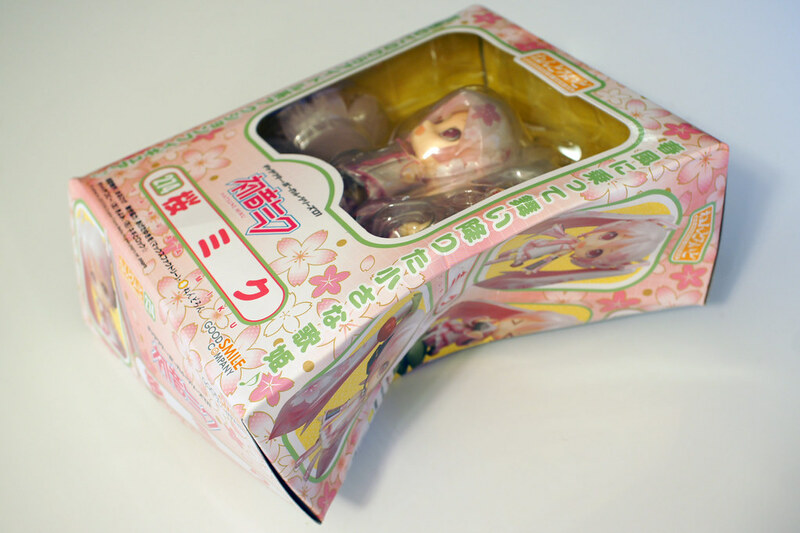 And, It would be grateful if GSC could put more effort in packing parcels…orz. So poor for your box . . . Thanks Kuuga. 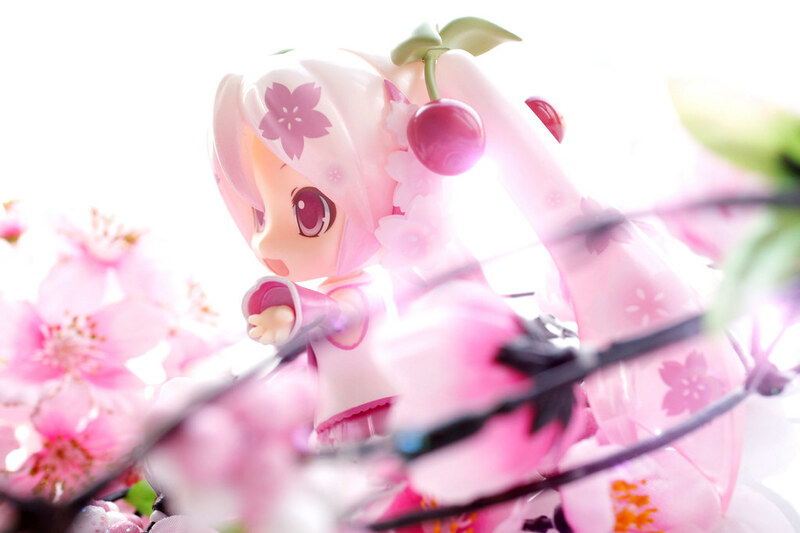 I also like the Sakura Miku a lot. The condition on the box as a result of the packaging and shipping is very tragic, but luckily it did not impact much on the contents inside (I hope). I'll be purchasing one from a local store soon, after I earn enough money. I wish that the rest of your contents are okay. The box looks… twisty, actually. Warped. I hope it's okay. 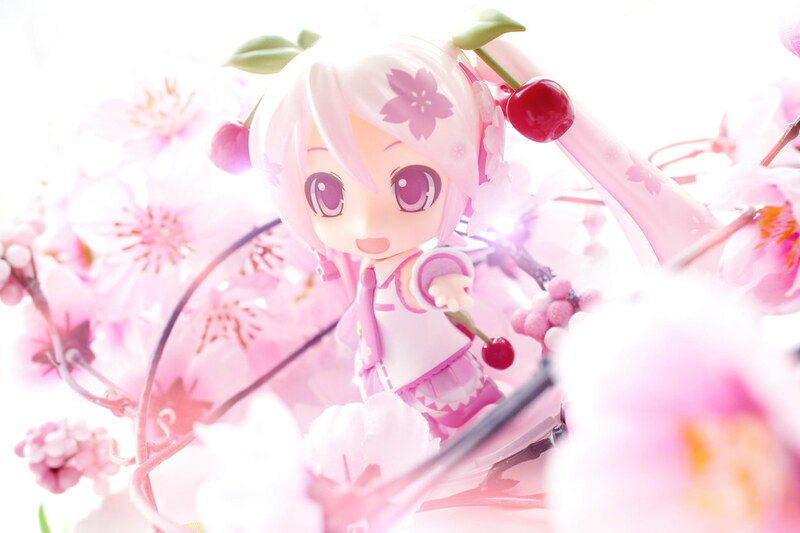 My Sakura Miku is fine…. luckily.